New Order, which began making noise about recording new music not long into its current reunion, finally treated fans to some of that work this past weekend during the band’s slot at Lollapalooza Chile, debuting a new 6-minute number that apparently bears the working title of “Drop the Guitar” — and which you can see/hear below via fan-shot video. The track opens with bassist Tom Chapman playing a moody bassline reminiscent of Peter Hook’s work on “Shadowplay,” then picks up with sequencers, Bernard Sumner’s guitar and Stephen Morris’ driving beat. A fan who attended Sunday’s Santiago performance said the song’s working title is “Drop the Guitar,” according to a post to the NewOrderOnline.com forums. 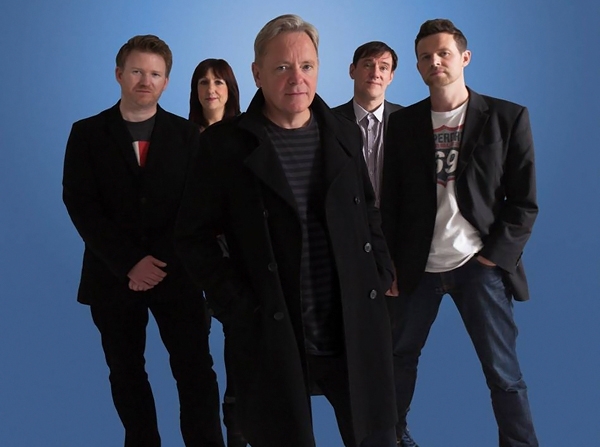 It’s not known yet whether New Order plans to release new music anytime soon. The band is playing a short run of South American festivals, and will return to the U.S. this summer for a handful of dates. Check out the performance from Lollapalooza (via pepokiss). After a number of listens, I quite like it. The drumming on it is classic Steve and the snyths pulse throughout it. Very cool! Excited now to hear what else is coming. And for a title that says ‘Drop the Guitar’, it was in there and sounded great. Sounding like they are back on track with this: looking forward to hearing this pumping out of the radio. “THEY ARE NOTHING WITHOUT ME!!!!! !” cried Peter Hook, as he sobbed while learning that New Order — and, indeed, life — went on without him. Really, he said that??? I know, you’re just being a goof. I wouldn’t worry about Hooky though, his tour is extremely successful….yes, even without NO. Not sure if I like it, but I’ll reserve judgement till I hear it in person at the Seattle show. Surprisingly decent tune from Bern and the lads. A very, very pleasant surprise. Nice to hear the Neworder bass sound remains intact despite The Orginal Bassist deciding to leave the band.